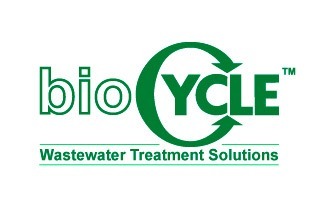 bioCycle™ has been at the forefront of Ireland’s wastewater industry for more than 25 years, providing services to both the commercial and domestic markets. The higher level of treatment and longevity delivered by their systems has led to numerous awards. The bioCycle™ wastewater treatment systems are a more cost-efficient option for homeowners because, according to bioCycle™, their systems only need desludging every seven to ten years, as opposed to alternative systems which cost less but may need desludging annually. Government policies and defective regulations in the area of wastewater treatment have led to builders choosing other systems that comply with regulations but may cause problems for homeowners in the future. The challenge for Emarkable was to position bioCycle™ as the consumer champion which included lobbying the government to address the regulatory deficiencies, whilst raising awareness with consumers about bioCycle™’s superior, more long-term cost-effective systems. We totally redesigned the bioCycle™ ’website to showcase the products and the unique features. We clearly demonstrated the benefits of choosing bioCycle™ products and established that they represent a superior option when it comes to wastewater treatment systems. We also designed a Client Questionnaire that can be used to evaluate a supplier when installing a wastewater treatment system. We tested this with suppliers using a secret shopper model. This enabled us to discover that some of the most vital issues were ignored or dismissed by most suppliers, demonstrating a lack of care in their commitment to providing both commercial and domestic customers with the best option. This research allowed us to develop suitable marketing messages and campaigns. We then focused on using our tools of the trade, such as AdWords, Search Engine Optimisation (SEO), and content/email marketing to extend the reach and raise awareness of bioCycle™ as a major brand within the wastewater treatment industry. We used social media to spread the message about the superior quality and enhanced level of convenience delivered by bioCycle™ products. To address the fact that there sometimes is a long lead time from initial customer inquiry to installation, we also established a lead nurturing system within the bioCycle™ sales process to assist with nurturing prospective customers during the buying process. 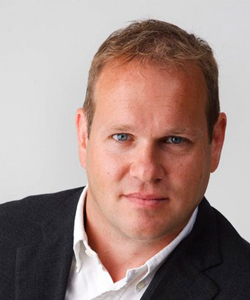 Emarkable takes a strategic, long-term approach to marketing that focuses on end results. We use a multi-channel approach and tailor our services to each client’s individual requirements to ensure long-term success, rather than a less effective short-term solution.